These wines are offered in cases of 6 bottles and are scheduled to arrive later this Autumn/ early Winter. Upon arrival, we shall contact you and organise delivery. Also available for purchase in bond if required. If this is your preferred method of purchasing these wines please contact us. Usseglio's Chateauneuf-du-Pape Tradition is one of the most consistently styled and appealing wines from France's oldest and (arguably) most famous appellation. 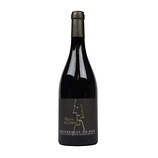 It combines the traditional character of the appellation with a refined elegance and purity of fruit. The 2016 is no different; it is powerful and full-bodied whilst also being seamless and pure. 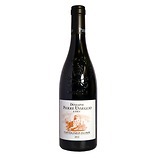 It is rounded and wonderfully balanced with a rich palate of black raspberries and currents balanced with classic Chateauneuf garrigues-like flavours and a touch of gently woody spice.